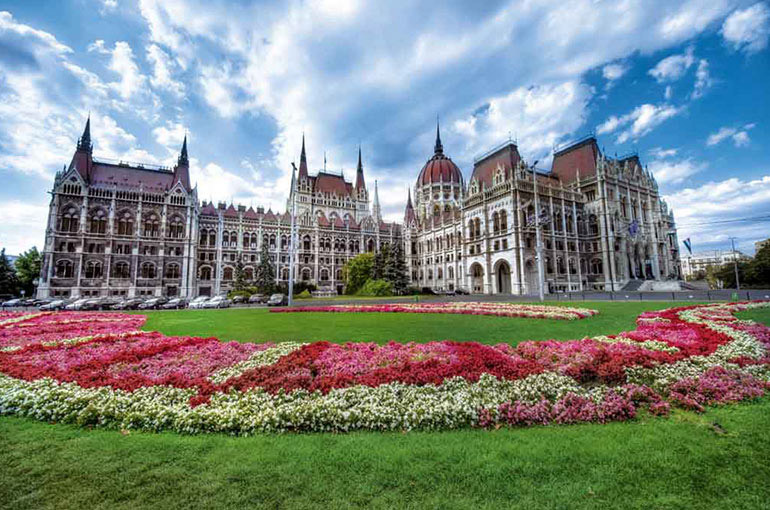 Gaze in wonder at the lofty spires of Hungary’s Parliament Building as it rises majestically above the Danube in Budapest. Sit down for friendly, intimate meals with farmers in Croatia and artists in Romania. Uncover scores of little-known treasures, including the picturesque Bulgarian hill towns of Veliko Tarnovo and Arbanassi and the surprising rock-hewn churches of Ivanovo—a UNESCO World Heritage Site. Step back in time to investigate the history and legends along the Danube while you cruise the Iron Gates. Applicable for new booking only.Prices exclude port charges of US$170. Complimentary Ship Board Credit US$100 per person for selected sailing dates only. Non-refundable deposit US$1,000 per person is required upon booking. Different sailing date on same itinerary discount may be differ. All promotion are not combinable and subject to availability. Offer does not apply to Solo Traveller. Single supplement applies. All information are correct at time of print and subject to change without prior notice. FEATURED EXCURSIONS: Choice of Budapest city tour or Exclusive “Do as the Locals Do” Budapest walking tour or Exclusive guided “Let's Go” Budapest by bicycle Located on opposite sides of the Danube, Buda and Pest each has a distinctive character and allure all its own. Explore this dynamic and multi-faceted city with your choice of excursions—you can see it from a local’s perspective on our exclusive walking tour, cover more ground with a panoramic tour or “Go Active” with a guided bike ride. Vibrant Budapest, Hungary’s capital, offers an enchanting combination of East and West, old and new. Even its geography is made up of two parts—Buda (the hills) and Pest (the flatlands)—divided by the Danube. Which part will you choose to explore today? You have three options to choose from. In the evening, a special Captain’s Welcome Reception and Dinner will be prepared for you. FEATURED EXCURSIONS: Choice of Full-day tour of Vukovar with Vucedol Museum visit and lunch at Goldschmidt winery or Full-day tour of Osijek with exclusive home-hosted lunch Welcome to Croatia! This ancient country has made a remarkable recovery from a brutal civil war, and its beautiful countryside, colorful folk traditions and delicious rustic cuisine make it a most rewarding place to visit. Welcome to Croatia! This ancient country, which has made a remarkable recovery from a brutal civil war, is noted for its beautiful countryside and thriving folk traditions, as well as delicious simple, local rustic food. You’ll dock in Vukovar, Croatia’s biggest port, at the confluence of the Danube and Vuka rivers. FEATURED EXCURSIONS: Choice of Belgrade city tour with visit to the Royal Grounds of Karadjordjevic Dynasty Palace or Exclusive guided “Let's Go” “I Bike Belgrade” tour Belgrade, the modern-day capital of Serbia, is one of Europe’s oldest cities, dating back some 7,000 years. Signs of its tumultuous history are visible everywhere, juxtaposed with the city’s vibrant modern-day present. See it all with a choice of excursions, either a city tour that visits the palace or a guided bike ride. 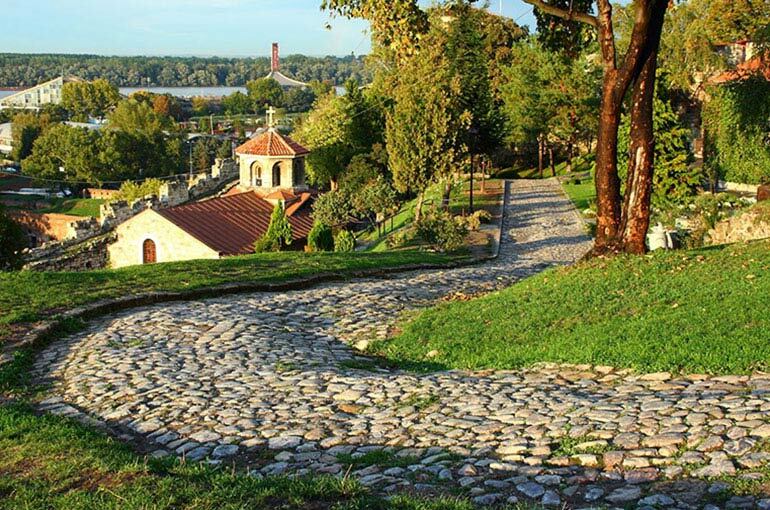 You have two very different ways to see Belgrade today—the choice is yours! FEATURED EXCURSIONS: Lepenski Vir archaeological park and Golubac Castle Today’s main attraction will be the spectacular scenery along the Danube, as you cruise a stretch of gorges known as the Iron Gates. Later, head ashore to explore a Paleolithic site and an extraordinary well-preserved medieval fortress. All along the way, history lines the banks of the river. Keep an eye out for Trajan’s Plaque, which the ancient Romans erected to commemorate the road they anchored in the steep cliffs above the water, and Golubac Castle, built in the 14th century and attacked successively by the Serbs, Magyars and Turks. The Turks won the castle in 1458, which helped to reinforce their control of the area until 1867, when they abandoned it. FEATURED EXCURSIONS: Choice of Bulgarian red rock country or Romanian Cetate Cultural Port visit Vidin is a port town on the Danube the once played an important role in medieval Bulgarian politics, as the great fortress Baba Vida attests. It’s your base for one of two unusual excursions today—visit to the fascinating Belogradchik rock formations or head to a riverside estate devoted to the arts. FEATURED EXCURSIONS: Choice of Veliko Tarnovo and Arbanassi with authentic Bulgarian lunch or Rousse walking discovery tour with Ivanovo and Basarbovo monasteries Bulgaria’s foremost Danube port, Rousse is sometimes called “Little Vienna” for its elegant 19th-century mansions and public buildings. You may choose to see some of the town after venturing to a pair of historic monasteries or spend the day visiting two historic hill towns. In the evening, a special Captain’s Farewell Reception and Dinner will be prepared for you. FEATURED EXCURSIONS: Choice of Bucharest city tour with People's Palace visit or Exclusive “Do as the Locals Do” Bucharest walking tour Bucharest is a fascinating combination of Communist grandiosity, elegant French-influenced 19th-century buildings and surprising survivors dating from the 1500s. Perhaps nothing more perfectly encapsulates Romania’s 20th-century experience than the mind-boggling People’s Palace, which you can visit today. Another option is a walking tour that shows you this city from a local’s perspective. This morning, you’ll disembark the ship in Giurgiu and drive through the countryside to Bucharest, where you’ll enjoy a traditional three-course Romanian lunch at a local restaurant and a panoramic city tour. Tonight you’ll relax in the comfort of a luxury hotel located in the heart of the city, Romania’s capital and its cultural and economic center. FEATURED EXCURSIONS: Romanian countryside tour with visits to Ceausescu Mansion and Vlad the Impaler’s tomb Count Dracula might be a fictional character who makes the blood curdle on Halloween, but his historical namesake is not. Vlad III—known in his heyday as Dracula or "Vlad the Impaler"—was a medieval prince with a penchant for brutally punishing his enemies. Or was it all a smear campaign instigated by his enemies? Find out more today on a visit to his tomb. Also on the agenda—a guided tour of the infamous Ceausescu Mansion. Check out of your hotel this morning. If your cruise/tour package includes a group departure transfer or if you have purchased a private departure transfer, you will be transferred to Bucharest Henri Coandă International Airport for your flight home.